Quality Care for Residential and Commercial Roofing. Servicing all of Melbourne and Local suburbs - North, East, South, West - we're your Slate Specialists! Are you in need of a professional roof repair company in Melbourne? Is your period home's slate roof leaking or have missing, broken, or damaged slates? ...Perhaps you're not sure if you need a simple repair or a full restoration or even a complete replacement. Melbourne's unique slate roofs can't be found anywhere else in Australia - or the world. It takes a master tradesman to best preserve these beautiful structures. When possible, we are always keen to help you preserve your heritage roof, rather than simply replace with new. When the need arises and there is no option but to replace your original slate roof, we are happy to guide and advise you of your options. Masters at roof restoration, our company prides itself on delivering practical solutions to best retain the authenticity of your roof. 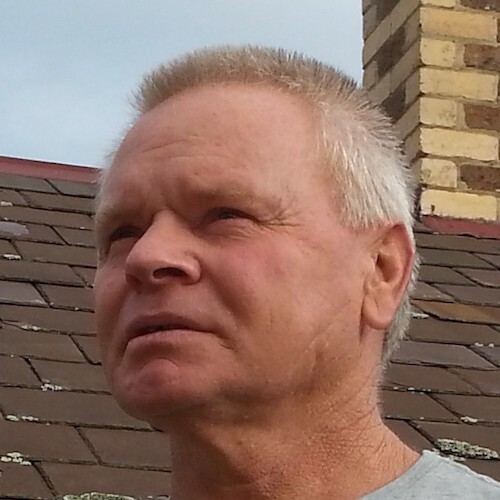 Hi, I'm John Spinner - owner of Abardeen roof slating, a small, family-owned company that has a particular interest in preserving, or restoring as sympathetically as possible, Melbourne's original period homes slate roofs. For over 34+ years my slate craftsmen have provided high-quality, precision services throughout Melbourne and its suburbs. 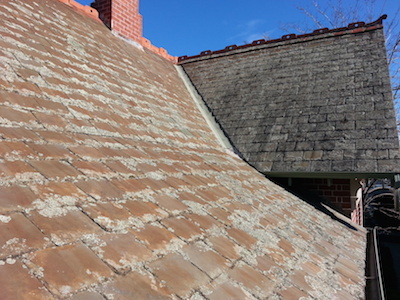 We specialize in slate roof repairs, slate roof restorations, and slate re-roofing. You can contact us for any help you require. Even if you've only got a quick question or two about your roof, and just need an honest - professional answer, no strings attached - ask away. I'll do my best to answer it! We had our original Victorian two-story slate roof completely replaced by John and his team. They did a beautiful job and were very professional, punctual and responsive. I highly recommend them. I engaged the services of John Spinner to replace the slate roof on my Edwardian home in Moonee Ponds earlier this year. From the moment of our first meeting to when the job was finished, I found him a pleasure to deal with. His pricing was very competitive and was exactly what he quoted – no surprises! The quality of his work and the manner in which it was done are exemplary. When looking for a slate roofing company in Melbourne to replace the roof on our Victorian era home, we were unsure about who to use or trust. We chose John and his team for their great testimonials, speedy and professional responses, pricing, planning and keeping us informed. During the work they were pleasant to deal with, respectful, helpful and professional – clean, timely and efficient. We’re always happy to recommend quality specialist trades. 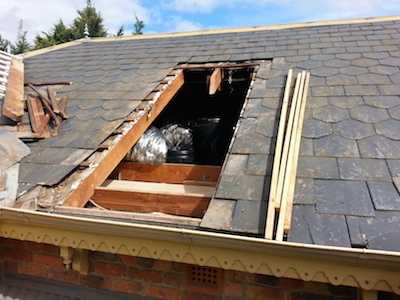 Melbourne Slate Roof Repairs provided a prompt and polite service when repairing my slate roof. He was able to explain the requirements of the repair clearly to me and completed a high quality job. If you need prompt service in inner Melbourne, call John. He has a passion to preserve Victorian era heritage in inner Melbourne. 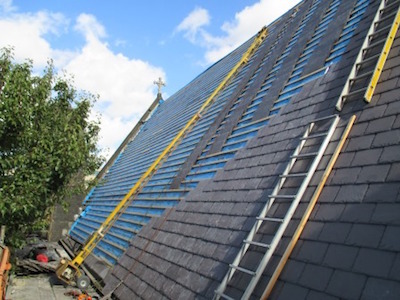 John, we thank you sincerely for the wonderful job you did installing our new Welsh slate roof. From beginning to end you were great to work with. We appreciated the fact that you came back within a day or two to finish off a minor ‘touch up.’ Thank you for your valuable advice regarding which ridging to use to finish off the roof. It looks amazing and we are thrilled with the finished product. John and his team did an excellent job of replacing our slate roof. They were considerate, mindful of the weather when parts of the roof were exposed, cleaned up well afterwards, and most importantly, executed a highly professional job at a fair and reasonable price that we are delighted with. I recommend these guys to anyone that needs a new slate roof.